To view the sidebars, simply move the mouse out of the editor area and it will appear. Distraction-Free writing will remain on till you unclick the button. 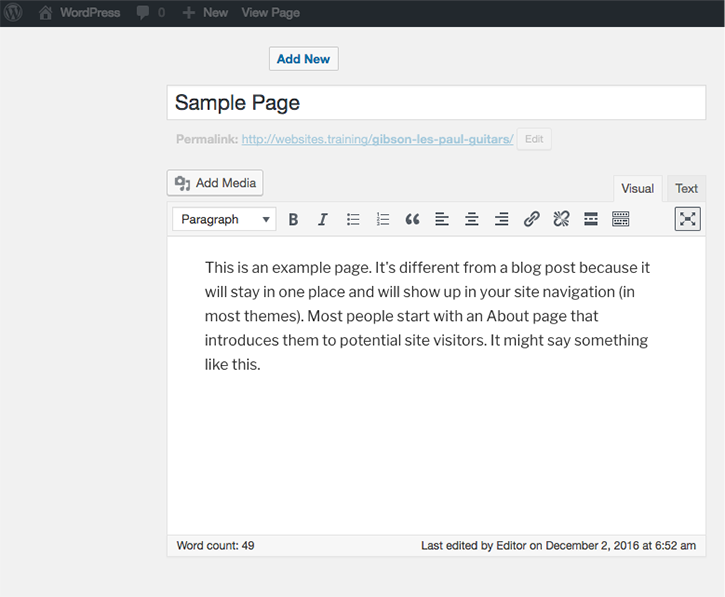 This means that if you add a new page, as soon as you start writing you will be in distraction-free writing mode.